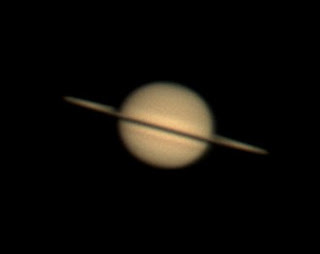 Last night I imaged Saturn. It was taken through my 11" Celestron, DBK21 camera and a 2.5x barlow. I imaged AR1087 in H-alpha and Ca K-line light using Coronado PST scopes and a DMK21AS camera fitted with the lens assembly from a x2 Barlow. The results were colourised to represent the wavelengths in which the images were made. Clicking on the images will show a larger version. The region is seething with activity.